The Timber Framers Guild is pleased to welcome the following featured presenters to the annual TFG Conference in Madison! In 1990, when the Voyager spacecraft took a picture of Earth from 4 billion miles in space, the image was a tiny speck of life in the vacuum of space, what astronomer Carl Sagan calls the "pale blue dot.” Steve Thomas has seen much of this dot as a blue-water sailor in the 1970’s, host, writer, and producer of The Last Navigator book and film in the ‘80s, and in his television programs This Old House (PBS), Renovation Nation (Discovery/Planet Green), and Save Our History (History Channel), and others thereafter. In this richly illustrated and fast-paced talk, Steve takes the audience with him on his documentary and television projects with the “Star Path” navigators of Satawal Island in the Pacific, the Eskimos of the Alaskan Arctic, WWII vets in the Aleutians, and Habitat for Humanity builds from Detroit to Kenya. 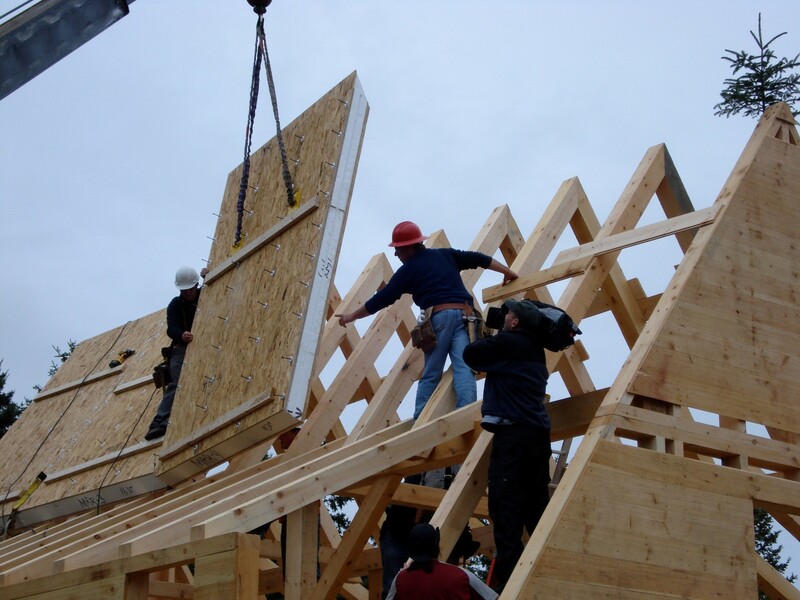 Along the way, he takes us through his own building and renovation projects from his 1700s historical home in Salem, Massachusetts, to a "green" timber frame barn built on an island in Maine ... featuring some familiar faces from the Timber Framers Guild! The “business” core of the talk is a clear, straightforward, and concise explanation of what sustainable, or “green,” building really means; who demographically is building green and what motivates them to do so; and why green building, scaled up, is a major driver of positive change for the planet. For timber frame builders looking to articulate the value proposition of their craft in their marketplace, this will be a useful part of the presentation. Being an honorary member of the Guild, Steve is happy to do what he can to advance the cause. Known as a serial renovator, Steve Thomas helped catapult This Old House to the top of PBS’s list of most-watched ongoing series of all time. He was honored with a 1997-1998 Daytime Emmy Award, and a total of nine nominations for “Outstanding Service Show Host.” He went on to highlight historical restorations on Save Our History on The History Channel and green renovation across America on Renovation Nation on Discovery’s Planet Green. He has renovated his own homes for more than 35 years, starting with a run-down 1920s craftsman cottage in Olympia, Washington, then two historic homes in Salem, Massachusetts, and a cabin and barn on an island off the coast of Maine. He just completed renovating Sea Cove Cottage, a 1905 Victorian in the center of a classic Maine lobstering village, which he featured on his popular Facebook page, “SteveThomasHome.” He’s a popular speaker, video producer, writer, blogger, photographer, renovator, and branding consultant. 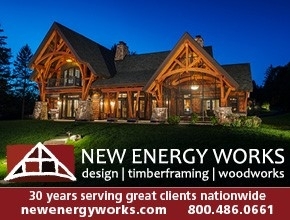 He also consults on green, sustainable building and renovation for clients all over the United States. In between early renovation projects, Steve’s yen for adventure, which he attributes to his late grandfather, a missionary in the Alaskan Arctic, inspired him to combine his love of fine woodworking with his passion for the sea and sailboats. In the early 1980s, he journeyed to the remote Micronesian island of Satawal to learn the ancient technique of star path navigation under the late master navigator, Mau Piailug. Steve’s research resulted in the critically acclaimed book, The Last Navigator, and a documentary for the Adventure series on PBS. It was in 1989, between research trips to the Alaskan Arctic for a second Adventure book and film, when Steve got a call from the Adventure series' publicist, who also worked for This Old House. The show’s producers were conducting a nationwide search for a new host, and the rest is history. Steve received his undergraduate degree in philosophy from Evergreen State College in Olympia, Washington. He lives in midcoast Maine with his wife, Evy, and their standard poodle, Emma. His son, Sam, is a videographer in Santa Fe, New Mexico. 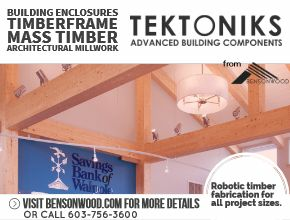 Timber framing is an old craft, and ingenious historical methods have been devised to connect the timber members in efficient and beautiful ways. Now that modern architecture is looking to stretch what wood can do in terms of both spans and applications, there is a new demand on engineers and builders to make these expectations possible, especially competing with stronger and more durable steel and concrete. This presentation will give you a glimpse into one man’s exploration of what is possible when higher demands are placed on timber, taking you through a variety of modern, long span architectural structures, and how they were designed and built with efficiency in mind. This will include all the practical details of connection, fabrication, erection, and how to enhance durability. Gerald Epp is at heart an engineer. Having consulted with leading architects for twenty-five years, he has developed a keen sense for good architecture in expressed structure, creating a strong demand for his consultation on buildings and footbridges. 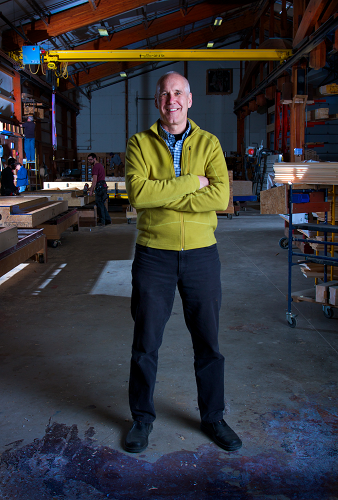 He started StructureCraft in the late 1990s as a response to the desire of architects to reconnect with the engineer and craftsman. Using the constraints of aesthetics, physics, and construction to shape the right solution, Mr. Epp continues to serve clients, giving projects overall vision, from the early concepts down to the execution of the details. 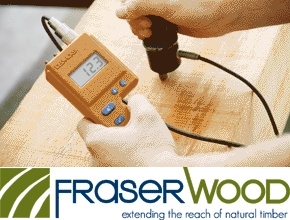 He is licensed as Professional Engineer in a number of Canadian provinces and US states, and as a Structural Engineer in BC. 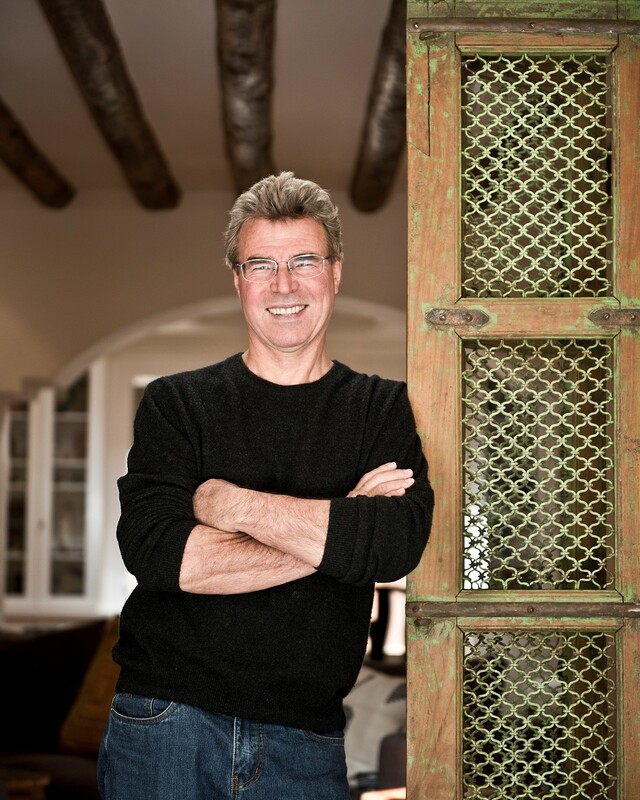 His projects have won numerous awards for structural engineering innovation and efficiency. Mr. Epp has presented at many speaking engagements in North America and abroad, including the Royal Institute of British Architects. When compared with conventional, code-built homes, the builders of high-performance homes are at an economic disadvantage right out of the gate. These homes tend to cost more because builders use high-quality materials and craft them into complex assemblies that require uncommon care, knowledge, and precision to execute successfully. In order to increase competitiveness in the marketplace, therefore, it’s essential that inefficiency and waste in the building process be minimized. Towards that goal, we need to be better in every way, achieving both a higher quality product and a more streamlined process. One methodology that our companies have found to be particularly effective is Lean thinking. In this session, we will present a brief history of Lean thinking and its application to the construction industry; a number of “real world” examples of implementing Lean in our shop, our office, and on-site: and a look at the challenges of establishing and strengthening a culture of continuous improvement. Tedd Benson, the founder and President of Bensonwood (1973) and Unity Homes (2012), has devoted his life to developing a better way to build. A key figure in the revival of timber framing in America, Mr. Benson was a founder of the Timber Framers Guild (1984) and is author of four books on the subject. Bensonwood was launched with the mission to demonstrate how we can effectively build quality, lasting, and sustainable homes by embedding the process with disciplined craftsmanship, along with advanced technology, software, and manufacturing efficiency. After having spent time researching in Europe and Asia, he went on to found Unity Homes, coupling an innovative system of standardization with lean, quality, off-site construction, to make high-performance homes affordable and normal. 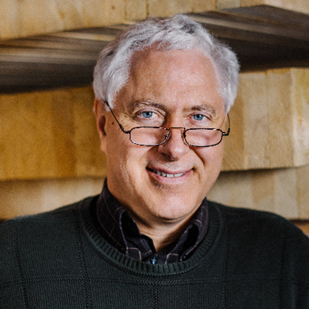 Mr. Benson is a nationally known speaker and presenter, and is the recipient of many awards, including an honorary doctorate from Unity College, and most recently, The Granite State Award, in recognition of his statewide and national influence on best building practices. Kevin Bittenbender is Company Steward and Head of Production at Bensonwood. After studying economics at Middlebury College and spending a few years as a carpenter, he joined Bensonwood. Passionate about working efficiently, Mr. Bittenbender has been actively incorporating Lean principles and practices into Bensonwood’s operations. From organizing training and facilitating events, to helping incorporate improvements on the shop floor, he has played an active role in pushing Lean forward in the constant challenge of reducing waste wherever possible. Along with being the Lean champion for Bensonwood, he is also the team leader for the Woodworking department and a Company Steward. Andrew Dey is Operations Steward for Unity Homes. Unity Homes has had several "repeat clients” - homeowners for whom Bensonwood built years ago, and who returned to have a new home built by Unity. Mr. Dey is Unity’s first "repeat employee.” After graduating from Harvard, he worked as a contractor in Boston before joining Bensonwood in the mid-nineties. For thirteen years Mr. Dey provided leadership to the project management department and, as a company steward, to Bensonwood as a whole. After an eight-year hiatus during which he honed his building science, project management and leadership skills (and spent a year in Germany researching energy-efficient homebuilding), Mr. Dey returned to join the Unity Homes team where he wrangles day-to-day operations at the company.